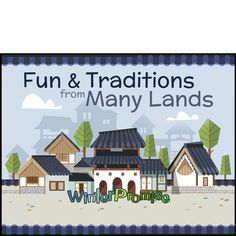 If you press the boxes below, you’ll find some great information that will help you quickly get to know some basics about the homeschooling world, and WinterPromise in particular. You’ll want to read these links in the order they are listed below. Then, follow our “What to Do Now” suggestions below! You’re looking into homeschooling. Maybe you have a friend who enjoys her homeschool experience, or maybe you’re feeling that you need to make this decision for your family. Learning about homeschooling and curriculum choices is often a matter of way too much material to sort through. You may be feeling a little overwhelmed by the choices, or by terminology you’ve simply never heard before. What’s a parent to do? Well, there are many books out there on the hows, whys and who-provides-it in homeschooling. Few of these resources are a short read. To get a good, overall view of homeschooling generally takes doing either a lot of research or a lot of reading. 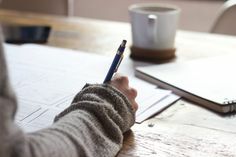 homeschooling in a short (but sweet) format — a road map, as it were, to help them find their way to a specific approach they feel might work for them. Somewhere to start that they feel pretty confident is going to lead to a good choice for their family. 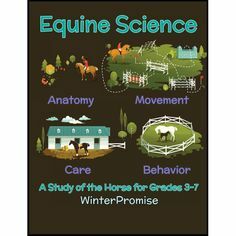 This information is brought to you by WinterPromise Publishing with the hopes that it will give you a quick, overall view of some of the major movements in homeschooling, along with their strengths and weaknesses. In this way, you will be able to quickly discern what you’re pretty sure won’t work for you, and spend more time looking into what you think will work! First let’s start with your reasons for choosing to homeschool. A lot of homeschoolers make the decision to school at home due to one or more of the reasons below. Try to evaluate what is most important to you in your choice. Defining this may help you as you look at curriculum options. • Desire to cultivate a family culture that is available when life is divided by school and other pursuits. • Desire to have the maximum time with their children to pursue in-depth character training, influencing a child’s upbringing with positive input on character weaknesses to eliminate them, and replacing them with positive values and integrity. • Feel they can better communicate their religious beliefs in a setting other than a public school. • Desire to design a curriculum that will concentrate on an educational weakness/strength of a child. • Desire to increase a child’s free time to pursue a serious interest or life choice. • Feel their school district does not offer the quality they desire for their child’s education. • Desire to remove child from a peer/educational situation that is decreasing the self-esteem of the student. • Fear their child’s safety at school is questionable. Another important thing you might be thinking about is how to seek the highest value for the least amount of cost. This is very understandable, as most homeschoolers have often had to choose for one parent to remain at home to do the schooling, and thus they are almost without exception one-wage-earner households. One of the major mistakes that newer homeschoolers make is to think solely of the “dollar” cost of a curriculum without thinking of the important matters outlined below that are just as related to “total” cost. The total cost for a curriculum also includes any additional resources you feel you’re going to need to add to keep your student interested. Adding some “bells and whistles” can add up fast. If you choose to go with a curriculum that is going to require trips to the library every week to make it work, there is a very real cost in gas that needs to be calculated as part of your curriculum, and the abstract cost of your time which can be significant. If you use a little less than a gallon of gas each week, say $2 in gas making a round trip to the library, that costs you about $72 a year. If you add that it will take you about an hour and a half, and only pay yourself just $6 an hour, you’re “spending” an additional $324. That’s almost $400 for these two hidden costs alone. Buying used curriculum can save you money in the short run, there’s just no doubt. 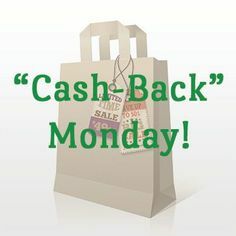 But be aware that sometimes the materials get out of date, there are times that materials referenced are no longer available, you may have to work around someone else’s markings in books or schedules, and you may not be entitled to guarantees or support for the materials that you would get with a direct purchase. Many parents find that spending a little extra money up front for a curriculum that really works for them not only makes their students happy, and mom happy, but it also allows parents to have the time they need for babies and preschoolers who also need time and attention. Below, write down how you need to balance cost against the overall needs of your family in other ways. How do you think you can best accomplish that? Once you’ve chosen to homeschool, you might start by talking with other homeschoolers you already know. This usually convinces you that you really need to get informed! 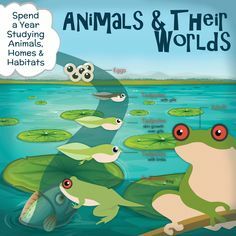 From there, you could investigate (usually online) a particular curriculum recommended by a friend, or even purchase one of several reputable titles that inform homeschoolers of various choices as to approach and outcome. However, these titles are often several hundred pages long, and thus we’d like to save you some time and give you a pretty good overall look so you can narrow down your options. 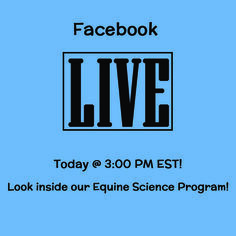 We’d love it if the information below would help you to start along the path to making a fully informed decision. So, here we go! The most important thing you need to know is this: homeschooling solutions generally fall into one of several “camps.” In the next box, you’ll find an outline of these camps, with their major philosophy and their strengths and weaknesses. Stick with me–this stuff really will help you sort through your options! Philosophy: Companies “translate” materials developed for a typical classroom into something a little more useable for a homeschool parent. Strength: Parents feel it is a proven and traditional methodology; it is familiar to the parent as a methodology, because they were likely traditional school students; companies that offer it have reputable names in educational world. Weakness: Most parents feel they don’t have time to “prepare” lessons ahead of time as a teacher is paid to do; this weakness reduplicates itself with additional students, as each one has to be taught separately to their grade level; materials may assume the parent knows as much as a teacher. Philosophy: Use a workbook that teaches the lesson on paper, and allows a child to feedback right away in a written format. Strength: Parents can invest a very minimal amount of time and feel they’ve “covered everything”; kids love the colorful workbooks available nowadays; some educational needs are very well served by the workbook method. Weakness: Many educators agree that not all skills can be learned effectively from a workbook; kids may get bored and feel they are not truly challenged; parents may find that children don’t learn from this method to think in an open-ended way; they grow dependent upon getting a “right” answer and don’t formulate creative ideas or educated, well-rounded responses. Philosophy: Advocates studying the Greek & Roman classics, learning about classical architecture,mythology, philosophy, logic and rhetoric, learning Latin, adding music and art study, and repeating history three times in four-year chunks throughout a child’s school career. Strength: Parents can feel as though a child were better prepared for an honors school; may be a better choice for an advanced student; may be helpful for students with a natural interest in art or writing. Weakness: Many parents do not feel comfortable with Latin or classical topics; some parents have trouble relating these skills to today’s real world and technology-forward global economy; some feel that it generates a repetitive history study; some parents find it does not interest their child. Philosophy: Put any of the above approaches into a digitalized format. Strength: Parents can feel their child is becoming comfortable with a computer; involves very little work for the parent. Weakness: Most parents find children quite adept at getting acquainted with a computer; parents find that children tire of not having any interaction with people in his educational pursuit; often shares some weaknesses with workbook approach, as often it is this type of format that is translated into a digital format. Philosophy: Study a topic with great literature, plan some activities, and pull together a bunch of experiences related to that topic in areas of math, science, writing, art and more. Based upon the thought that children learn best by doing. Strength: Wow! Sounds great! Child loves it! 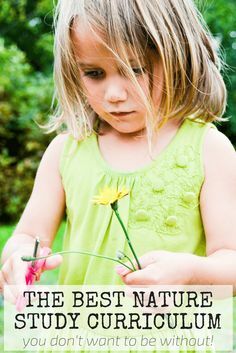 ; great family experiences; child is automatically self-motivated to succeed by his natural curiosity. Weakness: The vast majority of parents find that this approach is very parent-heavy on preparation, which burns them out in no time; others will say that it is weak on drill of facts. Philosophy: Learn by reading great books. Strength: Almost no parental planning; parents and children find it fun to read together; good common reading memories together. Weakness: Parents often find that children get bored with just reading; very weak on actual drill of facts. These are the “bells and whistles” (the really fun stuff) which are usually add-ons, rather than total curriculums. Strength: Let’s face it — sometimes it is nice to get to enjoy at least some of this! Weakness: Often expensive; may have little educational return for the investment if you don’t do your homework. Example Brands: Too many to name! Okay, now we get down to it. We want you to know from the outset that our first and most important priority is for you to have a satisfactory experience with whatever curriculum you choose. Therefore, we share this information as we have shared all the other curriculum approaches. Please understand that we hope this only helps to clarify where we stand in relationship to other curriculum offerings on the market today. What is the “Experience” Approach? 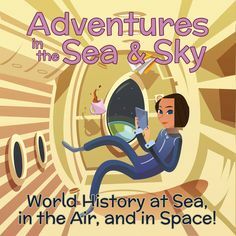 •Going inside books of quality to ride the seas or blast into space! •Delving into experiments that demonstrate a truth about the world around them. •Trying craft or building projects that use what they’ve learned and reinforce it in their minds. •Observing nature around them and recording what they see. •Completing interactive notebooking pages that reinforce daily learning. •Engaging in directed play that supports learning goals — like building a pyramid tent or fighting an Israelite battle. •Learning important dates and their significance through games played with our own timeline cards. •Involving themselves in community or ministry service that reinforce what they’ve learned and give them a heart for lifelong self-sacrifice. •Creating their own works of art and studying the works of great artists that have gone before. •Listening to music of the period. •Building topical, event or place maps that help history unfold and reinforce important facts in history. •Watching documentary films that really take you “there” in history or science! •Completing easy-to-use, well-illustrated or colorful worktexts. •Coming up with their own innovative ideas and seeing how well they work. •Learning Bible truths, and then putting them into practice with service ideas or prayer journaling. •Experiencing various media online, like listening to a radio drama or meeting a Dust Bowl family. •Building a timeline of their own, and even adding their own art, reports, and even field trip photos and memories to it! You’ll find we integrate all the strengths of the various approaches into one seamless curriculum that is almost no prep for the parent, and which eliminates almost all the weaknesses by balancing the strengths against each other. • We offer a learning together method that eliminates guilt trips and offers an amazing adventure for both child and parent. • We offer package options that allow parents to school several students together, enabling some parents to reduce time and money investment. • Comprehensive guides schedule everything and reduce paperwork to nothing if a parent needs to report to a state agency. • Our themed programs are cross-curricularly linked with our language arts programs to give you a cohesive experience — and we offer several levels of language arts for each themed program we offer. 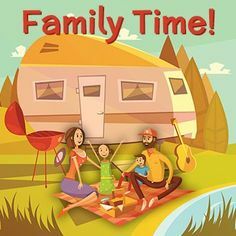 • We’re generally well-received by families because we offer fairly reasonable prices that include everything needed (except some supplies for activities you choose to use) — no surprise purchases or hidden costs. • Perhaps most importantly, we pride ourselves on everything being practical — parents can do this! Okay, But How Does WinterPromise Eliminate the Weaknesses? Most curriculums do focus on one particular learning approach. This leads to an overall weakness similar to a one-legged stool. If that leg’s not working for you, you’re in some trouble. WinterPromise, as you see above, is not a one-legged stool. There are fully seven approaches or learning tools bundled together in one comprehensive program. That means if one or more of the approaches isn’t working for you, the curriculum will still function. In fact, it means you can tailor it perfectly to focus on what works for each student in your household, even if you have students of several different learning styles! Here’s some terms you might not understand. Pages refer to material included in our catalog. 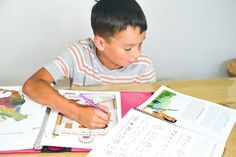 Notebooking is the hottest new trend in homeschooling. 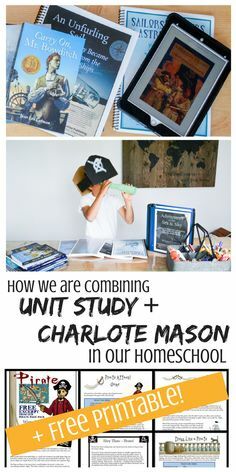 A combination of scrapbooking, educational projects and timeline building, it gives parents a new way of reinforcing what a student has learned. You’ll find out quite a bit on this on pages 44-45 of our catalog. Basically, the student creates a notebook for which we create a spine (our “Timelines in History), individual pages (our exclusive “Make-Your-Own” pages sold as part of most of our themed packages), timeline figures (which we sell for each history package) and also suggest maps we also sell (catalog page 46), and activities we outline in our guides. These include scheduling pages, but our guides also include practical helps and teaching suggestions on other pages. Most of our guides average between 100-150 pages in length. A 19th-century educator who pioneered an overall educational approach, which we as a curriculum are closer to reproducing than anyone else out there — at least that’s what we’ve been told! We give a summary of her ideals and ideas on pages 6-7 of our catalog. 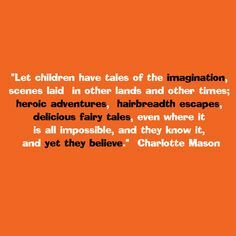 Charlotte Mason championed using “real books” not fluffy dumbed-down children’s nonsense. This is where the term originates. Also a Charlotte Mason invention. Narration is the art of “telling back,” and is an open-ended way to review. Develops thinking skills. More on this on page 7 of the catalog. 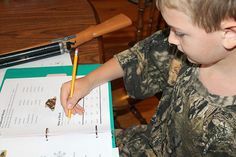 Most homeschool parents soon get in touch with what type of learner their child is: visual, auditory or kinesthetic. This is because they are so in touch with what their student does/does not absorb. They also want to seek a way to be continually more effective. Some learn about this because they are facing the challenges of working with a child with a learning difference. We invented this type of program. To reach a broader age range, we schedule basic books that are read aloud by the parent for all students, then provide individual books that cater more to their age group, whether 4-6th grade or Jr/Sr high. 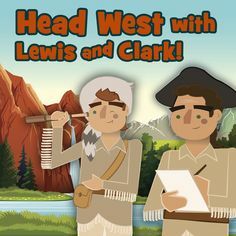 A term we use that would be understood by most homeschoolers to mean a set of shared memories, new words that click with a book that is read together or a field trip taken. In fact, a family learning together has simply more opportunity to develop a fun family culture all its own. Well, it’s a given we’d love to have you for one of our families. But that’s primarily because we truly believe we have a product that can work for most homeschoolers. We’d love to offer you a catalog, if you don’t have one. You can request one by including your name and address in an e-mail to winterpromise@gci.net. You can also click on the “Contact” link above for more contact information. It may also be helpful to you to know that we have a vibrant forum used by hundreds of homeschoolers, and a yahoo email group run by one of our moms that wanted to do it on her own. It currently includes about 600 members. 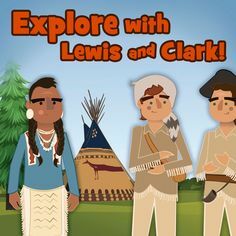 Either place is a great way to connect with other homeschooling parents using our materials. Walk Through Our “About” Section! We recommend that you browse through our “Learn” section. Here you’ll find all kinds of helps on understanding more about the literature approach, how our program works, and even learn more about resources like our guidebooks and notebooking series. Next, look over our Themed Programs in our “Shop” section and see if any interest you. Take the time to acquaint yourself with the resources in those that seem to meet your needs. You might want to register at our online forum in our “Talk” section to ask questions and discuss materials choices with other families using our programs. They have a lot of great advice to offer! 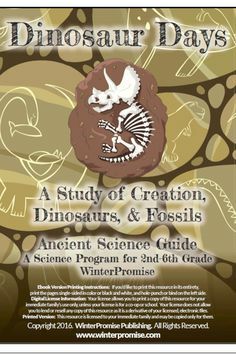 Although not sponsored by WinterPromise, a wonderful homeschool mother, Mary Arnold of Florida, hosts an e-mail loop with the help of her co-moderators who are Marjorie, Vicki, Heather and Tana. This loop provides help, support and encouragement to our parents and often has the “inside scoop” on details of our program and new announcements! 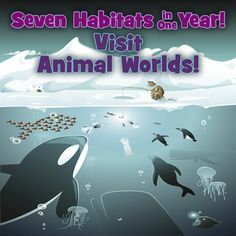 You can learn more, and find out how to sign up by going to http://groups.yahoo.com/group/WinterPromiseFamilies/ .